Can this midsize pickup truck deliver on different types of roads? Read along. The Ford Ranger is one of the lifestyle pickup trucks that are popular among patrons of its segment. In fact, along with the EcoSport and the Everest, it completes the brand’s best-selling trio for the majority of 2017. 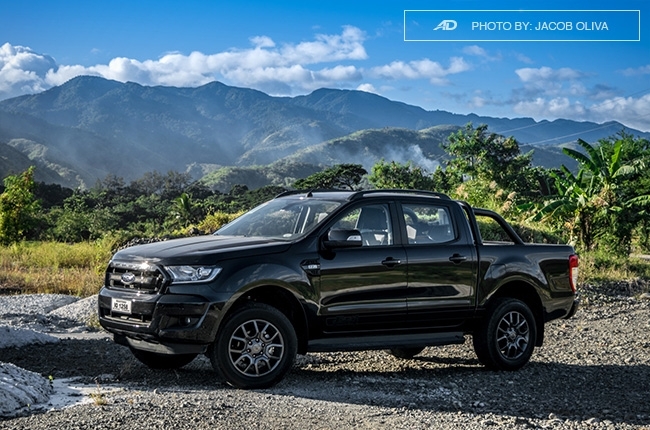 To prove its worth as a chart-topper, Ford Philippines took us on an adventure-filled road trip up north to showcase the midsize pickup truck’s capabilities. We had no concrete idea what lies ahead of our journey; all we knew was it’s going to be a long drive to Tuguegarao City in Cagayan. We hopped aboard 3 Ford Rangers along with other media personnels — 1 Pride Orange Wildtrak and 2 Jet Black FX4s. Aside from having imposing exterior appeal, both Ranger 4x2 variants houses a 4-cylinder 2.2L turbocharged diesel engine that produces 160 hp and 385 Nm of torque. On-board the Wildtrak, we started early from Ford Balintawak and drove all the way to Jaen, Nueva Ecija or approximately 145 km. Majority of this drive was on the highway: from Balintawak exit of North Luzon Expressway (NLEX) to the Tarlac City exit of Subic-Clark-Tarlac Expressway (SCTEX). With more than 1,000 kg of cement at the rear bed and 3 people on board (including me) with their luggage, we expected the Ford Ranger to exert effort with the laden weight — it didn’t. The midsize pickup truck was nothing short of power and was able to pull itself nicely. The added weight also made the Ford Ranger less bouncy and more comfortable throughout the drive. It was also composed on the highway and the cruise control was a huge relief in maintaining the 100 km/h speed limit. The loads of cement that we brought to Jaen, Nueva Ecija was for the Gawad Kalinga in the area and will be used to build houses for the less fortunate people. Ford Philippines has been helping the residents of Jaen this year, and made contributions by building houses and completing a self-sufficient, wind-powered water supply for the whole community. It was a humbling and heart-warming experience; I’m pretty sure the things we brought to the place will go a long way to improve their lives. From Jaen, Nueva Ecija, we hit the road on a 7-hour convoy to Santiago, Isabela to cap off the night there. 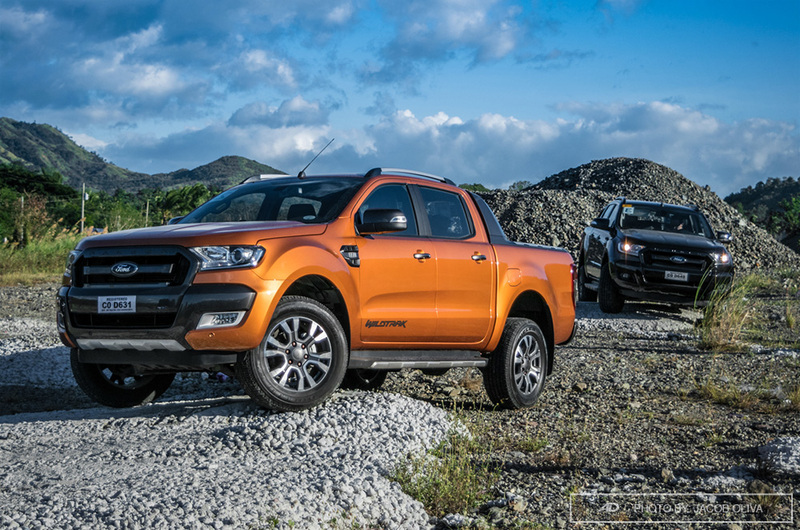 It was approximately 233 km — a combination of straight paths, uphill and downhill winding roads, and dilapidated concretes, which tested the Ranger’s commitment to its ‘Built for Tough’ catchphrase. Anyone who has experienced convoys knows that you need to keep pace with others, so abrupt acceleration was needed from time to time. With all these conditions, the Ranger was able to deliver. It wasn’t hard to speed up with the group, especially with the 6-speed automatic transmission in place. It has a sport mode that allows manual shifting, so needed downshift during overtakes were easy. The Ranger also managed to maintain its poise even during uphill climbs. 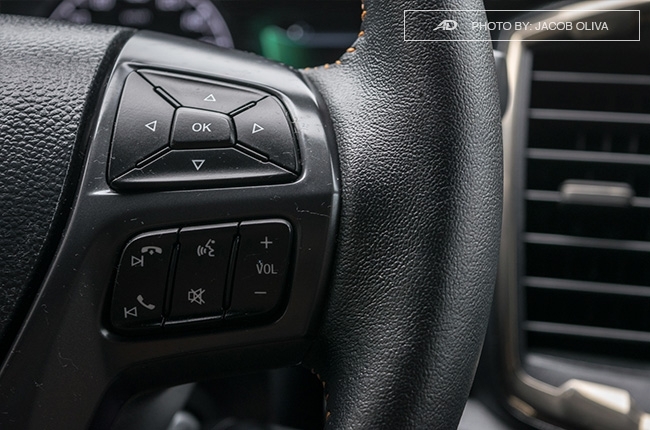 In the tight twisties, the Ranger’s electrical power assist steering (EPAS) worked to our advantage and made maneuvering the fairly large machine as easy as pie. Body roll was present of course with the pickup truck’s high ground clearance, but it’s tolerable — we were even able to sleep through it as passengers. 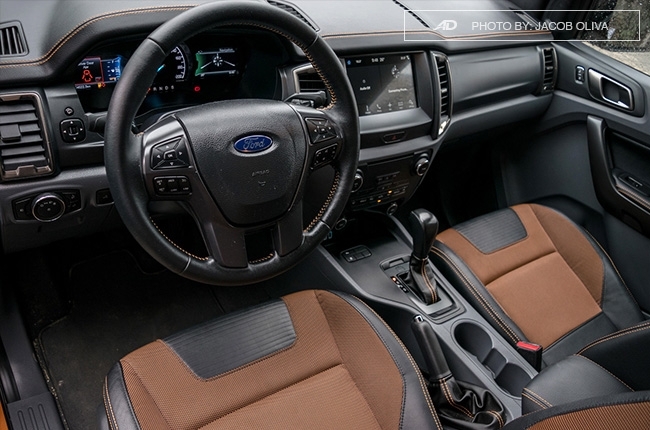 The Ford Ranger’s tough-looking and beefy exterior design was an irony to its rather homy cabin amenities. 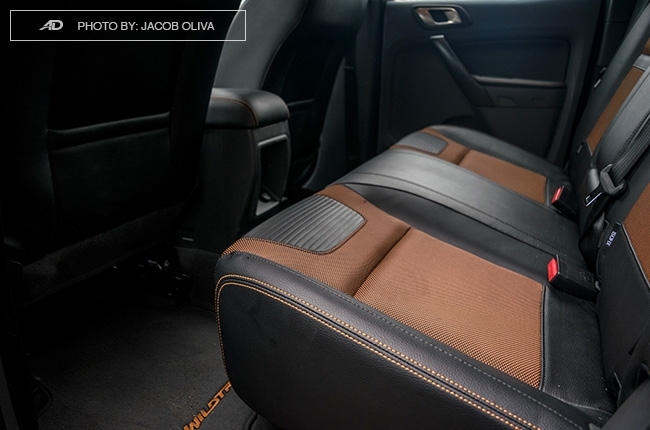 Its interior looked plush, while the Wildtrak variant we’re in has orange stitches and accents for a sporty appeal. 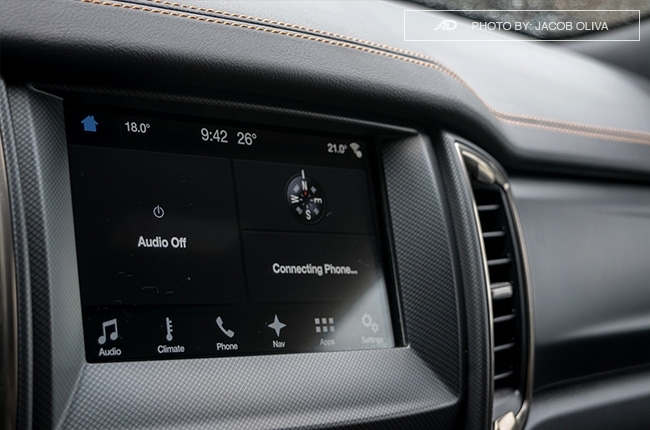 The multi-information display and gauge clusters were also as functional as they’re good-looking and the 8-inch multimedia system with SYNC 3 paired easily with our smartphones. This adds to the overall driving comfort, considering the lot of time we spent on the road. On top of that, the front seats can be adjusted easily so we were able to find our sweet spot for the long drive. I wish I could say the same for the rear seats, as it’s less comfortable for me when we had to switch places. 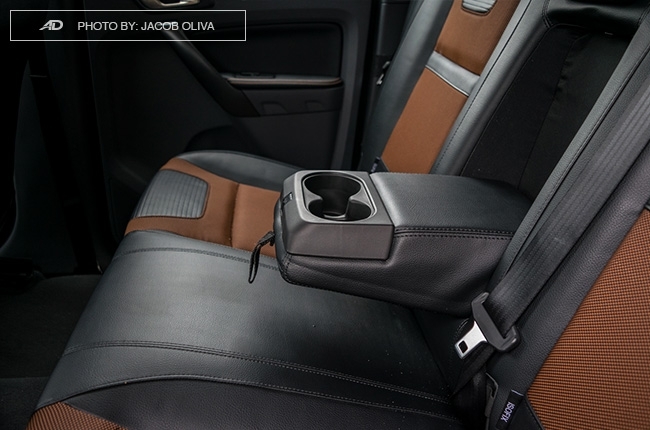 But I think that’s pretty normal with its upright backrest; after all, the Ford Ranger is still a pickup truck. Good thing there’s ample room in the back, even for people at 5’8”. Air conditioning was also superb at any given time of the day. In total, we drove through 535 km of paved and unpaved roads with the Ford Ranger. We reached Tuguegarao City with a little less than a quarter of fuel tank left. With 80L of diesel at the start of the drive, the approximate average fuel consumption was around 7-8 km/l — not bad really, considering the road conditions, provincial traffic, and the weight that we carried throughout the trip. The Ford Ranger proved that it isn’t only built for tough; it has considerable fuel efficiency numbers to go with it as well. 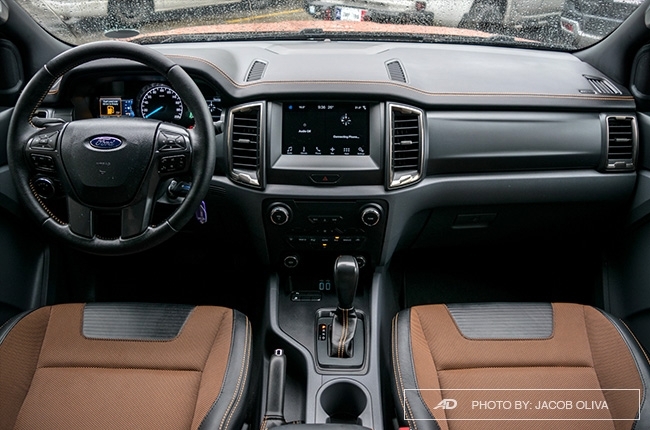 It also proved that aesthetics can go hand-in-hand with performance, and that’s pretty much the reason why this lifestyle pickup truck is a best-seller. 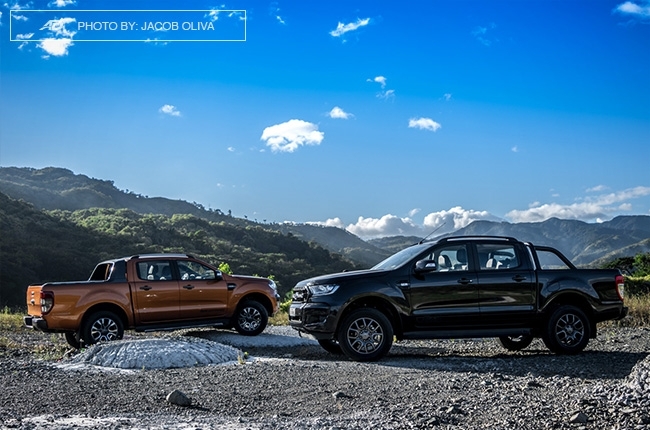 Both Ranger variants’ sticker prices are at the sub-P1.5m category — the 2.2 FX4 4x2 AT sells at P1,359,000, while the 2.2 Wildtrak 4x2 AT is at P1,489,000. 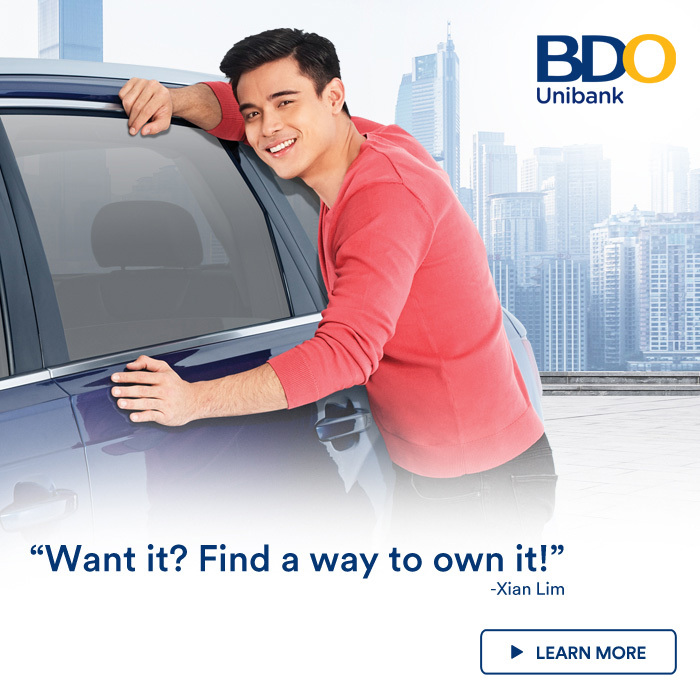 If you have extra cash to spare, I strongly recommend getting the Wildtrak for its extra intelligent features and aesthetic advantages that can boost your pogi/ganda points.